Former Heisman Trophy winner Johnny Manziel may no longer be around, but that hasn’t stopped Texas A&M from storming out of the gate early this season. Thanks to a big first-week upset over South Carolina, the Aggies – led by quarterback Kenny Hill – are shooting up the polls and have their eyes on the College Football Playoff. But can they first survive the battle through the SEC? Only time will tell, but it’s bound to be an exciting season for Aggie fans. 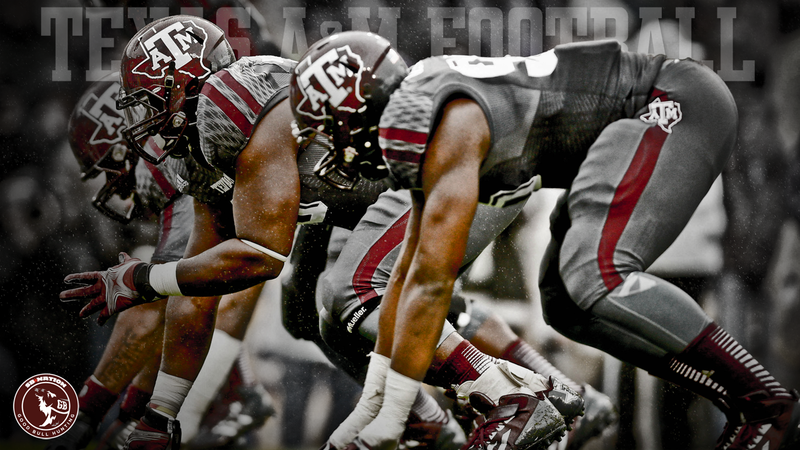 With that in mind, be sure to get pumped each and every week with Texas A&M wallpapers, browser themes and more! The Aggies could be in for a special season, which means you’ll want to remember every moment of it. To make sure you don’t miss anything, you’ll need the school’s official browser theme, which is available for all major browsers. With it, you’ll get everything from photos and videos to breaking news, tickets, team schedules and more. 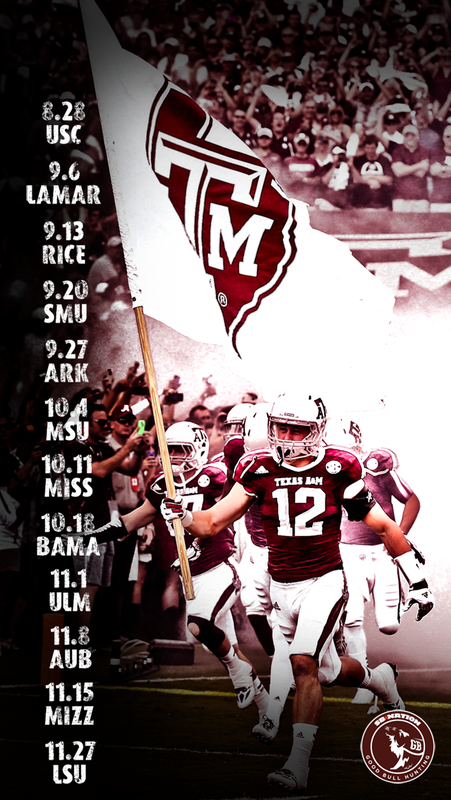 Aggie fans pride themselves on being the collective “12th man,” so what better way to prove that than with some Texas A&M wallpaper for your computer’s background? You know this is the greatest time of the year, and it’s time to celebrate it! Love the Aggies? Have an iPhone? Here’s what you need to do: stop whatever you’re doing (which is reading this post), grab your phone, and find the Texas A&M iPhone wallpaper that you like the most. Being an Aggies fan requires 24/7 support, and putting the school’s wallpaper on your phone will help you always keep your mind right. You know how important it is to be able to follow your team every day of the season and beyond. With these Texas A&M blogs, you’ll never miss anything that has to do with the Aggies, no matter what sport you follow. Thanks — great stuff just in time for football season!